ForceSHIELD Ground Based Air Defence (GBAD) system project for the Malaysian Armed Forces (MAF). 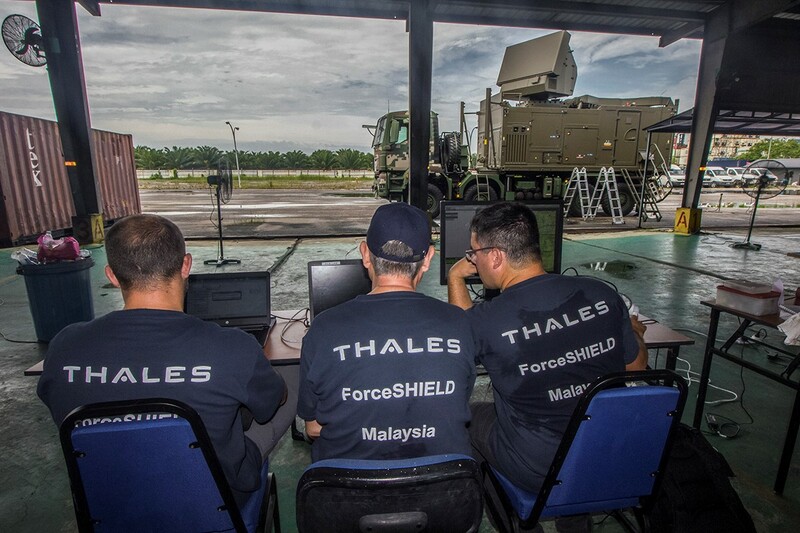 Together with its Malaysian partner, Global Komited, a member of the Weststar Group, Thales announces on 8 November 2018 that the ForceSHIELD Ground-Based Air Defence system project has reached its final milestone with Full System Acceptance (FSA) occurring on October 2018. This achievement represents the culmination of a successful tri-party team working together, including programme management, operational and technical staff from the Malaysian Armed Forces (MAF), Global Komited and Thales, since September 2015 when the ForceSHIELD contract was signed at the DSEI exhibition in London. In addition to bringing the next generation of SHORAD technology to Malaysia, Thales is a core partner to the Malaysian Armed Forces for over 40 years, supplying and maintaining tactical radios as well as OICS systems for armed vehicles to the Army. Thales also provides Air Surveillance and ISR systems to the Air Force as well as Combat Management Systems, Electronic Warfare and Satcom solutions to the Navy. Aligned with its growth strategy to boost its local presence through strategic partnership with local players, Thales has successfully delivered innovative and high-value offset programmes in collaboration with government agencies that include the Technology Depository Agency, Cyber Security Malaysia and the Malaysian Industry-Government Group for High Technology (MIGHT). “Thales is proud of the strong collaboration we have with the Malaysian Armed Forces and Global Komited that have enabled us to reach this successful milestone that supports the safety and security of Malaysian skies. Through this project, Thales contributed significant offsets in Malaysia including training, tactical simulators and investments in building the future of defence technology with an MSc degree in collaboration with UPNM. We remain focused on building sustainable, long-term partnerships with Malaysia and we look forward to growing our collaboration with the Malaysian Armed Forces as they build capabilities for the future.” Thomas Pistre, Country Director, Thales in Malaysia. Thales has been present in Malaysia for 40 years, with over 200 employees, including personnel from its joint venture, Sapura Thales Electronics, who have been building and maintaining long-term, strategic partnerships with key local partners across all business areas: defence, transportation, security, and aerospace.